So after a week of HF short story-reading I thought I'd happily have my fill- wrong! I simply did not read as many as I hoped I would. Oh well! I checked a few sites, but opted for this one: http://www.wattpad.com/stories/historical-fiction and basically found quite a few stories that interested me. I enjoyed: The Last dance, An Ever Fixed Mark, The Duke's Pawn, Forgotten Shadows, and, Roots. 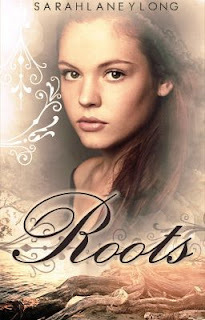 At only 107 pgs, Roots was my favourite! Christina Croft Guest Post + GIVEAWAY! 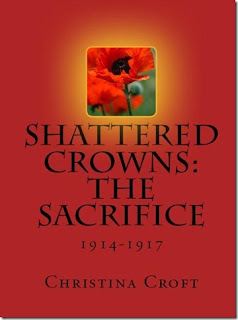 Today I have the pleasure of receiving Author Christina Croft here on EBJ- History Salon! Please read her amazing post and then leave her a comment to enter her Giveaway! Some years ago, while visiting Osborne House, I stood in Queen Victoria’s bedroom, trying to imagine how her eldest grandson felt as he knelt by the bed with her head resting on his arm as she died. Even more moving was the thought of the overwhelming sadness that surely clouded his later years as he looked back on this event, and his many other happier visits to England. The date of my visit was significant – August 4th, the anniversary of Britain’s entry into the First World War – for the grandson was, of course, Kaiser Wilhelm II. History has painted this man in a very poor light and even today he is often mistaken for the caricature on the Allies’ propaganda posters, but I feel deeply for the Kaiser, and, in researching and writing the ‘Shattered Crowns’ trilogy – following the royalties of Europe through the First World War – I soon came to the realization that he, like several other royalties of the time, became the scapegoats for someone else’s crime. Kaiser Wilhelm – ‘Willy’ – was the eldest son of Queen Victoria’s brilliant eldest daughter, Victoria, who married the future German Emperor Frederick III. His birth was particularly traumatic to the extent that the doctors feared for the lives of both the mother and child, and when, after a long labour, Willy was finally born he appeared not to be breathing. The doctors shook him so violently that his left arm was badly wrenched, damaging the nerves. Consequently, the arm failed to grow properly and remained a permanent and very visible disability, which prevented him from using a knife and fork until he was ten years old, and seriously affected his balance and his ability to learn to ride. His mother wrote that: “He has a charming countenance, and very pleasing expression, particularly his eyes. I think he would be very good-looking someday, if it were not for the distressing crookedness caused by his poor arm, which is very visible in his face as his head is not straight and the whole left side of the neck and face much thinner and flatter than the other.” Throughout his childhood, in an effort to correct the deformity, Willy was subjected to a series of very painful and fruitless treatments but far worse than the physical trauma was the psychological effect of the disability when the future Kaiser heard whispers that: ‘a one-armed man should never be king.’ Moreover, he appears to have begun to believe (quite wrongly!) that his English mother was not only responsible for the trauma but also was repulsed by it. These events inspired in him an inability to endure weakness and he over-compensated for his sense of inadequacy by arrogant outbursts and a great deal of bluff and bluster. To exacerbate matters, the Chancellor, Bismarck, despised Willy’s mother and went out of his way to fill the boy’s head with stories of German superiority and his parents’ weakness for espousing liberal and English ideas. Poor little conflicted boy! He passed through childhood and adolescence alternatively adoring and hating his mother. He even passed through a strange episode of sending her adoring letters, telling her how much he loved her and particularly her beautiful hands. 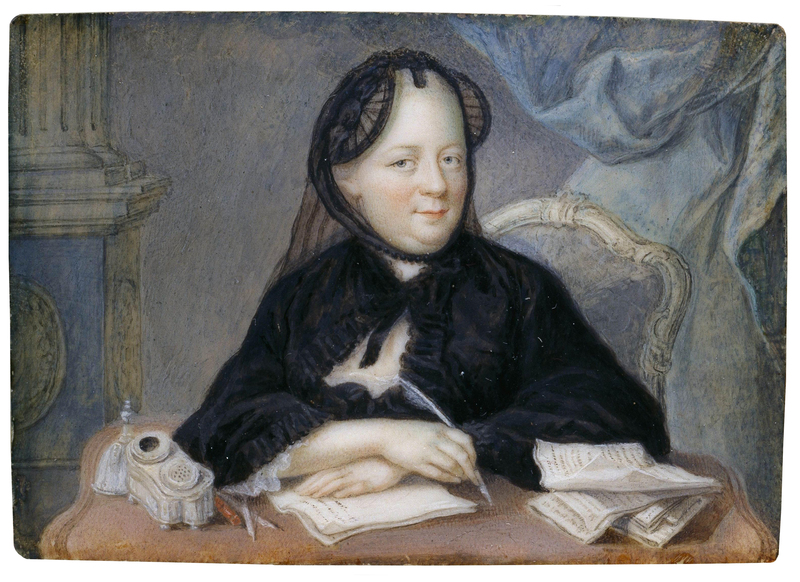 Shortly after this, he fell madly in love with his cousin, the beautiful Ella of Hesse (Most Beautiful Princess) but she refused his proposal and for many months afterwards his confidence was so shaken that he was unable to remain in the same room as her, though he kept her picture on his desk until the end of his life. The one solid anchor in his childhood was his grandmother, Queen Victoria, whom he dearly loved, though she never hesitated to correct his arrogant outbursts, suggesting on more than one occasion that he deserved ‘a skelping’ and should go and ‘find his level’. Unfortunately, his arrogant manner alienated many other members of the family and when the Queen was dying there was great reluctance to invite him to visit. When he did arrive, he was not permitted to enter her room and was left waiting on the corridor outside until her doctor took pity on him and led him to her. Wilhelm became German Emperor in 1888 and for twenty-five years his country was at peace, prospering in every regard. He promoted the arts and culture, open libraries and tried in many ways to emulate his hero Frederick the Great who had also been a great patron of the arts. He was also, in spite of his arrogant manner, keen to maintain ties with his cousins throughout Europe. It seems that he had a desperate need to be loved and respected and many of his pompous pronouncements and poses were simply attempts to conceal his lack of self-esteem behind a mask of greatness. He is often portrayed as a warmonger due to his love of uniforms and all the trappings of militarism but in fact he was rather like a small boy dressing up and playing a role. He never commanded an army or captained a ship and he was as happy to be seen in he uniform of a British Admiral as in that of his famous Death’s Head Hussars. He loved England and all things English, but on occasions he seemed to transfer the love-hate relationship with his mother, to a love-hate relationship with her homeland, and, with so many conflicting ideas in his head and the stress of constantly trying to live up to an image, it is unsurprising that he suffered at least two nervous breakdowns. In any event, the last thing he wanted was a war. To the very last minute he and Tsar Nicholas were exchanging telegrams in an effort to maintain peace but – as my novel ‘The Scapegoats’ seeks to demonstrate – matters were taken out of the hands of monarchs by those who had a great deal to gain from the destruction of the three great European autocracies of Russia, Austria-Hungary and Germany. Willy, I firmly believe, was, along with Tsar Nicholas and the Austrian Emperor, simply a scapegoat whom history continues to saddle with responsibility for that dreadful conflict. It is interesting to note that, although Russia and Germany were on opposing sides in the war, when the Tsar’s life was threatened by the Russian Revolution and his British cousin, King George, refused to allow him to go to England, Willy offered the Imperial Family safe haven in Germany. Within a few months, Willy, too, had fallen victim to revolution. He ended his days in exile in the Netherlands and the last photographs and film footage of him show a very sad and broken man and one whom, I believe, history has unjustly vilified. The first two books of the Shattered Crowns trilogy – The Scapegoats (1913-1914) and The Sacrifice (1914-1917) are available in Kindle and paperback format. The third book, ‘The Betrayal’ is coming soon. 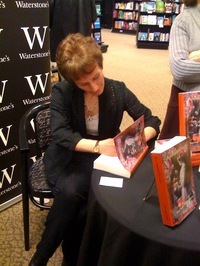 Thank you, Lucy, for your hospitality in allowing me to write on your lovely blog! Thank you, Christina for this enlightening post! 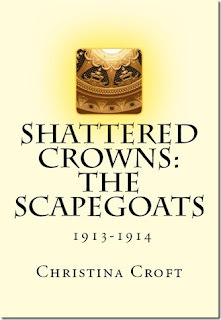 Christina Croft is graciously giving away ONE Copy of SHATTERED CROWNS: THE SCAPEGOATS 1913-1914 to one of my lucky readers! Thank you!! For extra chances post on FB, Twitter, Blog...and come back with your link. hosted by Michelle of True Book Addict. It's an all you can read - NO Pressure- just fun on all the stuff you'd love to catch up on. For me, I will dedicate my reading to as many historical fiction short stories, I can. 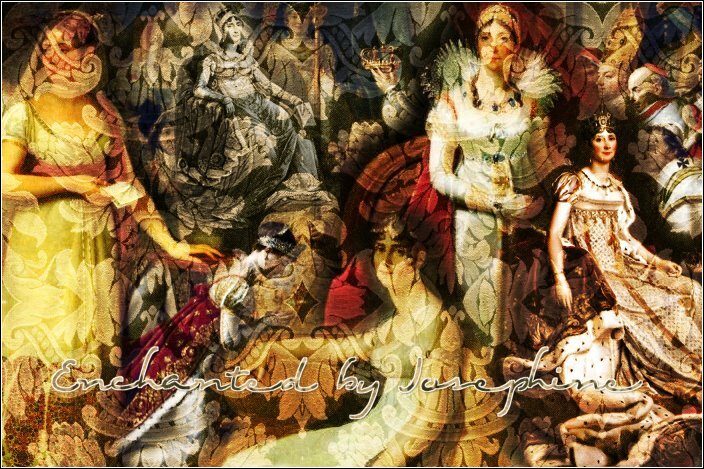 I found this site that is filled with Historical Fiction Short Stories. I figure this will be different from my usual 'long reads' while offering so much variety! Will you be joining? If so, what are you planning on reading? I've joined this fantastic Read Along at Historical Fiction Connection. 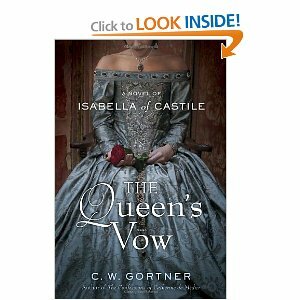 I couldn't give this up- since I was dying to read: THE QUEEN'S VOW, by C.W. Gortner (I'll have my review up by next week for sure). 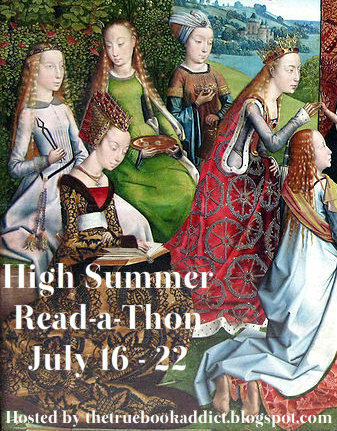 Anyhow, there's a schedule up for the reading -and it's really doable (we're talking about less than a hundred pages in 3 or 4 days..). Then there's the discussion post where we join along. Come read along- this is a FABULOUS book! 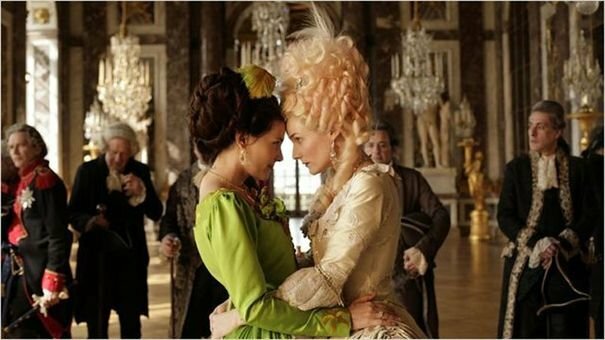 I just posted my Movie Review of : "Les adieux a la reine", over at HISTORY AND WOMEN. I'm extremely honoured to now be part of this fabulous site! If you want the scoop on this movie, please read my not-so-glam-thoughts HERE. 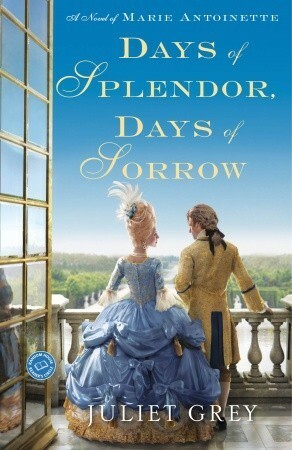 Winner of Days of Splendor, Days of Sorrow- Announced!